In January, just about a month into my new role as Executive Director here at MRG, it was my honor to facilitate a panel requested by staff and leadership of the Affiliated Tribes of Northwest Indians. They wanted us to pull together leaders who were working at the intersection of philanthropy and Indian Country for an audience of elected tribal leaders, staff, and agency leaders to talk to about what was happening in “mainstream” philanthropy. The panel included Don Ragona, Deputy Director of the Native American Rights Fund (NARF), Mychal Cherry, Executive Director of Spirit Mountain Community Fund, and Elyse Gordon from Philanthropy Northwest. Along with nearly 400 tribal leaders from across the northwest, there were staff in the audience from the Northwest Health Foundation, Meyer Memorial Trust, Social Justice Fund, and the Oregon Community Foundation. The panel wasn’t just about how we can create better access for Indian Country to philanthropy, rather, it was about the history of the transfer of wealth from indigenous to settler colonial control, the consolidation of wealth and power held in the philanthropic sector, the restrictions of giving from tribal foundations, and some of what the path forward might be to untangle all of this. Here are some of the major takeaways from of our time together. Access to funding is becoming harder and harder across Indian Country – and, a main source of this problem are mainstream foundations. For tribal leaders and advocates, this funding trend is abysmal, shocking, and shameful. Native Americans in Philanthropy and the Foundation Center produced a report in 2011 looking at data from foundations over a 10-year period of time from 1998-2009, and they found that investment in Indian Country dropped from 0.5% to 0.3% over that period, and the total investments were, on average, between $68 and $100 million annually. To make matters worse: in 2018, First Nations Development Institute did a similar study and found an even more significant drop to .023%. While mainstream foundations are not, in any way, obligated to give back to tribes and tribal people (this is particularly poignant considering the wealth originated in this country), there are state government-determined regulations requiring tribes to give portions of their economic profit “back” – many tribal foundations are told where to give, who to give to, and how much to give. To make matters worse, tribal foundations are often times told they can’t give to causes or organizations that are “outside” their traditional areas of interest, such as NARF or the National Indian Child Welfare Association (NICWA). When it comes to responding to threats to Indian Country, it’s important to know that our adversaries have deep pockets and are using a combination of legal and narrative strategies to deconstruct the rights of tribal people. Finally, foundations need to engage, educate themselves, and listen to us, instead of telling us what our problems are and how we should solve them; let our communities solve our issues in our own ways, through our paradigms and ways of knowing. The way foundations and the philanthropic world can help is by funding us (as tribal people) directly and without restrictions. 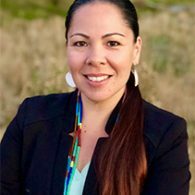 One good place to begin is Reclaiming Native Truth – some of the reasons why we aren’t getting the attention and traction in philanthropy that we should is because most people in positions of power in philanthropy don’t see why they should change. This resource should be mandatory reading for everyone. If foundations have goals around being in existence and working toward health and equity in perpetuity, they need to build and maintain relationships with those of us who have been here since time immemorial. ← Welcome Dena, Development Director!